Death of a city leads to death of the countryside. I'm not sure exactly what relationships and back stories exist in the UK between small and larging farming industries, the big 5 supermarkets, the Conservative Party and the NFU, but I'm sure there are plenty. 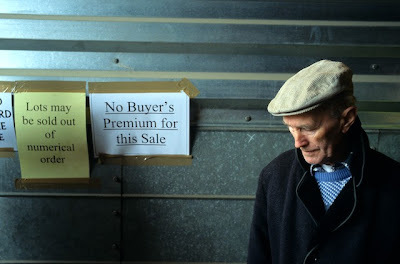 The death of small scale farming is what Justin Partyka focusses on in his fine essays on East Anglian life and shutdown sales - his work can be seen in the latest Granta Magazine. "Situated on the east coast of Great Britain, East Anglia is one of the country's prime rural and agricultural regions. The expansive flat landscape, massive skies and long farming heritage make East Anglia the closest place that Britain has to a prairie region. These photographs explore the last vestige of East Anglia's deep rooted agrarian community, where traditional methods and knowledge are still very much depended upon, and the identity of the people is intimately shaped by the flat open landscape upon which they live and work. It is a ramshackle world. 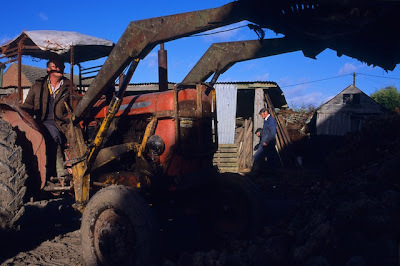 Buildings are decrepit and farm machines are often worn out. And the soil and mud become engrained into everything they touch. In the last fifty years, rural life in East Anglia has experienced great change and the region's agrarians have become a rural minority hidden behind the gigantic corporate farms and monster tractors which dominate the region. The days of full-time rabbit catching are long gone, and the region's reed cutters now have to compete against imported reed from Eastern Europe. At one time hundreds of small family farms populated the East Anglian landscape, but today most of them have long since disappeared. 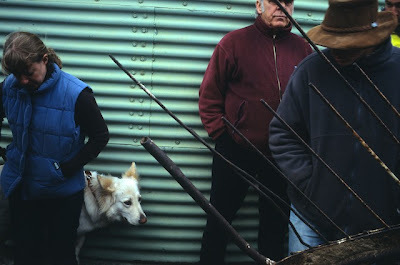 Those that remain struggle to make a living under the shadow of the agribusiness that surrounds them; constantly having to fight against the effects of a global economy, a forever growing mountain of bureaucratic regulations, and the increasing impact of climate change. In the words of an old-time East Anglian farmer: "It’s just one big tractor now and a thousand acres. There is nobody on the land today." In 1950, the number of people in agricultural employment in East Anglia was 142,225. By 2000 it had fallen to 56,819. 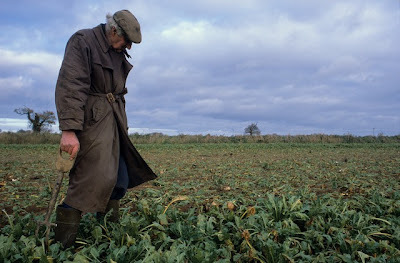 For the East Anglians that continue the agrarian tradition of subsistence living from the land, it is as if time has passed them by. 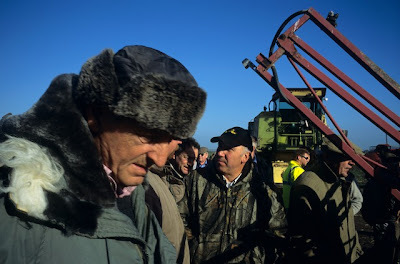 They are the forgotten people of the flatlands, who work the land simply because the need to is in their blood. They are a stoical bunch though. While they find themselves banished to the margins of society, for now at least they stand in the face of change and continue on. After all, what choice do they have? This rural way of life is all they know."